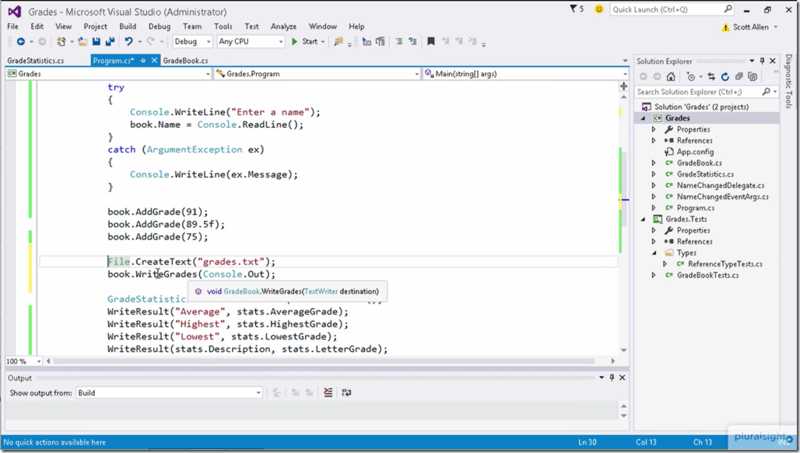 I've created a new C# Fundamentals course with Visual Studio 2015. This course, like the previous course on Pluralsight, doesn't focus so much on syntax and language quirks. Instead, I like to focus on what I consider the important fundamentals, like understanding the difference between reference types and value types, how types live inside assemblies, some basic design tips, and more. Dear Scott, after Aurelia have been waiting eagerly for Building Applications with Asp.net 5 or MVC6 Fundamentals ..But ready to enjoy C# with VS2015.